Internet-advertising services provider Glam Media has agreed to purchase Marc Andreessen’s social-networking site Ning for $150 million. The women focused company announced on Tuesday that following the purchase Andreessen would be added to their board of directors. Payment for the site is expected to be done mostly in preferred stock from Glam Media, however terms have not been disclosed at this time. 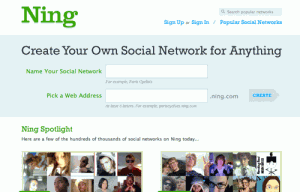 The acquisition from a services point of view makes sense, currently Ning allows users to create their own social networks with very little effort, something Glam could potentially use across their own network of thousands of bloggers. The move to sell was a smart decision for Andreesen who had to begin charging customers last year for Ning services after the network failed to turn a profit since launching in 2004. Mark was forced to fire 42% of his staff after the pay for use structure went into effect. Ning’s remaining 100 employees will be joining the Glam Media team. 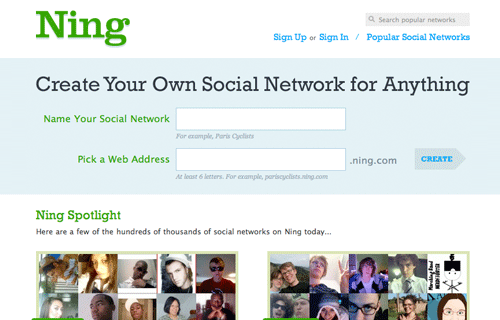 To date Ning had raised $120 million from investors, including money Andreessen paid out of pocket. What do you think about the Glam Media acquisition of Ning?